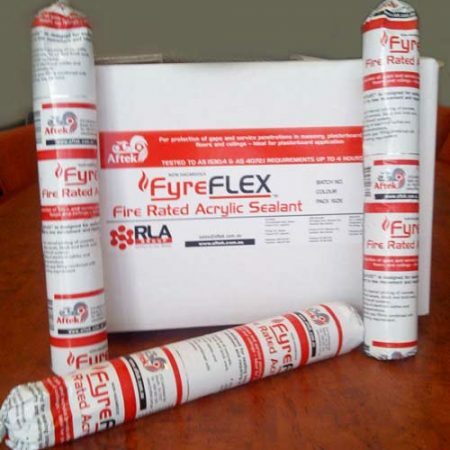 Fyreflex expands when exposed to fire to form an inorganic plug in joints and voids, assisting in the prevention of fire transmission across partitions in a building. Fyreflex combines exceptional UV and water resistance with excellent flexibility, non-slump properties and ease of application, making it ideal for internal and external application. Interior & exterior joints between concrete, plasterboard, blockwork, fibre cement and brick walls. Building services’ penetrations including pipes, cable trays, conduit and ducts. Adheres strongly to common construction materials such as cement, concrete, brick, plasterboard, timber, steel, aluminium, glass, and polystyrene.